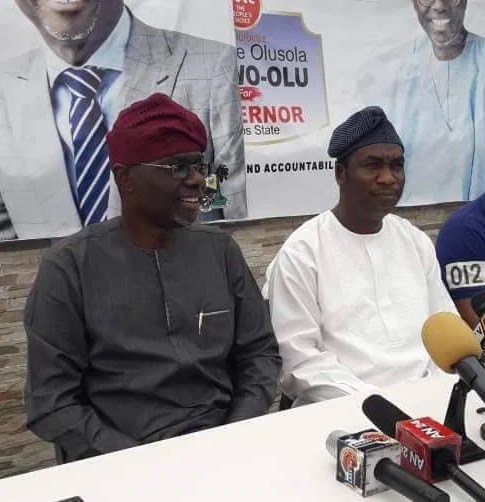 Babajide Sanwo-Olu, the candidate of the All Progressives' Congress (APC), has picked former commissioner, Babafemi Hamzat, as his running mate for the Lagos governorship election in 2019. A source in the candidate's camp confirmed to Pulse on Monday that he has decided on Hamzat as his running mate and will make an official announcement soon. Hamzat, a former Lagos Commissioner for Works and Infrastructure, was one of the major contenders for the APC's governorship ticket before he stepped down for Sanwo-Olu. "Having been part and parcel of the formulation and execution of various policies and programmes that transformed Lagos right from former governors Tinubu and Babatunde Fashola's administrations, I strongly believe that Sanwo-Olu is equally rooted to fly our party's flag in the 2019 elections. "I have no doubt that he is well placed and equipped to take Lagos to greater height, hence my stepping down for him," he said. Sanwo-Olu went on to defeat incumbent governor, Akinwunmi Ambode, in the party's primary election and will battle Jimi Agbaje of the People's Democratic Party (PDP) at next year's polls.